Manchester United players are reportedly ‘bemused’ at the lack of action given to summer signing Fred by manager Jose Mourinho so far this season. The Brazil international was the only real marquee buy of the summer for United, joining in a big-money move from Shakhtar Donetsk after shining in Ukrainian football. Fred made a solid enough start before for some reason falling out of favour and starting most of the Red Devils’ games on the bench since then. According to the Times, this has much of the United squad rather baffled, which is even more understandable given the lack of form of players like Paul Pogba and Nemanja Matic for much of the campaign. Fred surely has something to offer which those two have been unable to, but Mourinho is known for his slightly questionable man-management and for perhaps looking to get reactions out of players this way. 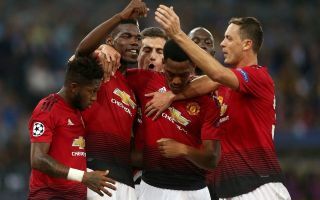 These methods haven’t seemed to work for some time, however, with the Times also noting how the squad reacted badly to the Portuguese’s criticism of in-form stars like Luke Shaw, Anthony Martial, Jesse Lingard and Marcus Rashford in a recent interview. MUFC fans will hope this poor team morale can be lifted in time for a result against Arsenal on Wednesday night.